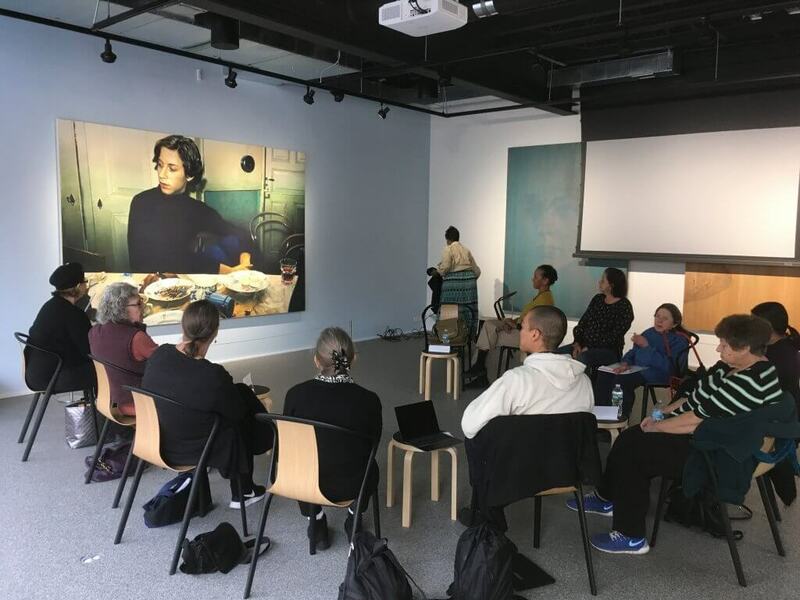 SI offers an Introduction to Contemporary Art Class for older individuals living in the East Village/Community District 3 area. SI Older Adults Programs are held in partnership with Sirovich Center for Balanced Living. In this discussion-based class, a teaching artist leads classes through various themes in contemporary art. The class examines the current exhibitions on view at SI and around the neighborhood, with visits and tours by guests artists and curators. Students work collaboratively to produce a culminating project. Please email lou@swissinstitute.net with any questions, or to sign up for future class sessions. This class is open to individuals 55+ and older.